Spiral Duct Clamps can be used for fastening spiral duct systems. The clamps include a noise insulating rubber lining which is formed around the steel band to prevent it sliding off when the spiral duct is slid through the clamp. Available to suit common spiral duct sizes from 80mm up to 500mm. These spiral duct clamps are dual bossed M8/M10. 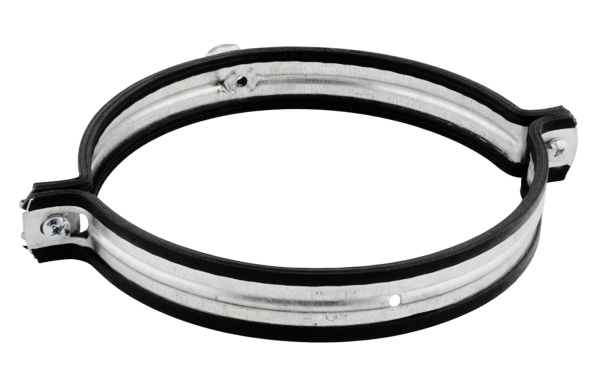 Spiral Duct Clamps are made of pre galvanized steel with the noise insulating lining being made from black TPE rubber. To suit common spiral duct sizes.